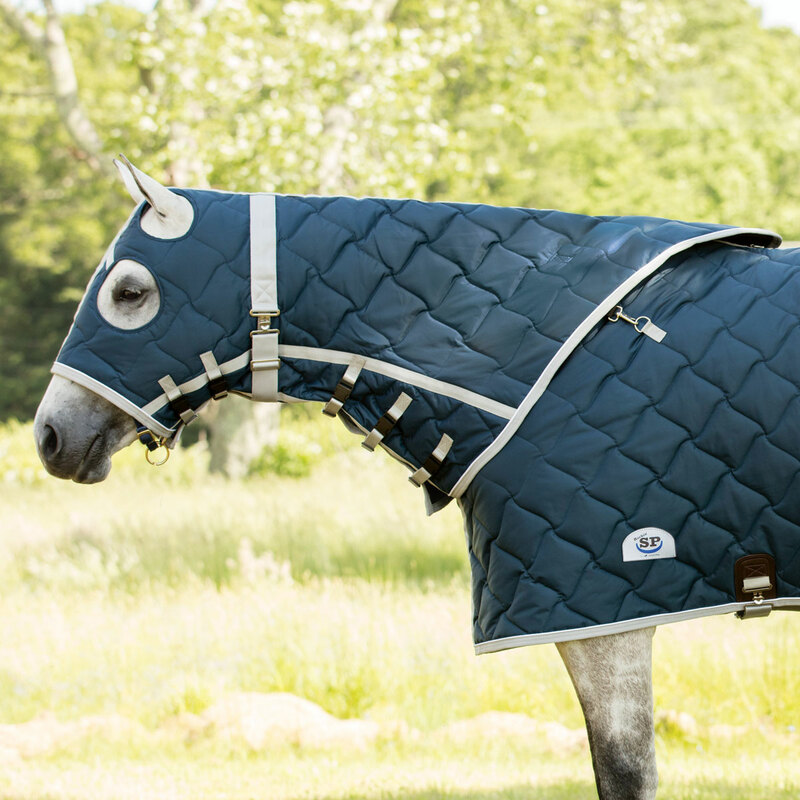 Give your horse head-to-tail protection with the Rockin’ SP® Quilted Hood. This hood features a contoured design that will give quarter horses and other stock breeds a great fit. 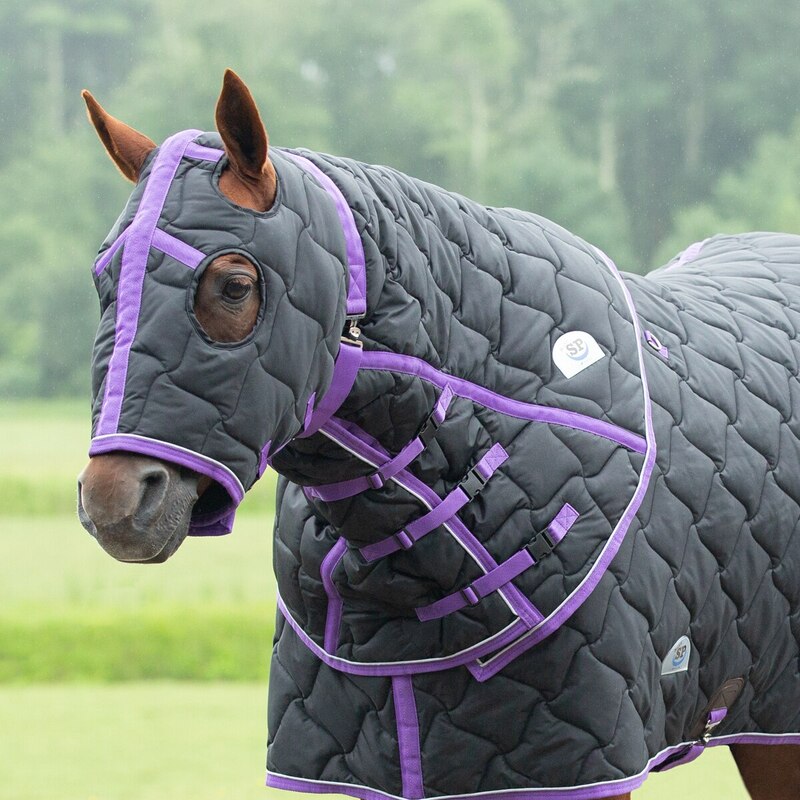 300 grams of soft fiberfill quilting keeps your horse’s head and neck toasty warm while the silky nylon lining enhances the shine of your horse’s coat. Additionally, you’ll love that this hood will stay securely in place with three elastic straps with quick clips that attach to the blanket and five adjustable straps on the neck, as well as an adjustable throatlatch strap. Finally, the classic styling gives your horse a sharp look at the barn or at shows. 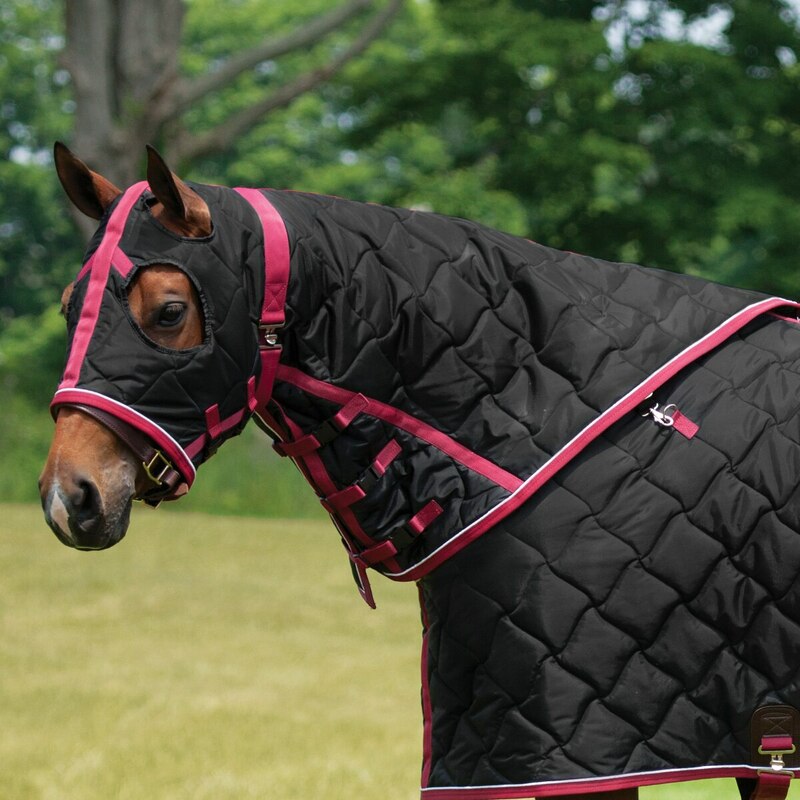 Medium fits with blanket sizes 72"-76"
Large fits with blanket sizes 78"-82"
Special Features Polished stainless steel hardware, D-rings and 3 elastic straps with Quick-clips for attaching to the Rockin' SP Quilted Stable Blanket. Rockin' SP® Quilted Hood is rated 3.0 out of 5 by 1. Rated 3 out of 5 by RLastInstallment from Beware the piping I don't expect this type of material to be very durable, but I was surprised when the piping tore after less than 8 hours on a stalled horse (the piping on the matching blanket also tore after a couple weeks of wear). I should point out that my horse is not hard on his clothes. Since SmartPak would not replace it, I was able to find a friend who could repair the damage. It's super soft and comfy. It doesn't wear bulky and looks sharp. I love the adjustable clips. However, I would not buy another one... not worth the money to have to repair it all the time.